This book provides a thorough and engaging study of Plains Indian life. It covers both historical and contemporary aspects and contains wide and balanced treatment of the many different tribal groups, including Canadian and southern populations. Daniel J. Gelo draws on years of ethnographic research and emphasizes that Plains societies and cultures are continuing, living entities. The second edition has been updated to take account of recent developments and current terminology. The chapters feature a range of illustrations, maps, and text boxes, as well as summaries, key terms, and questions to support teaching and learning. 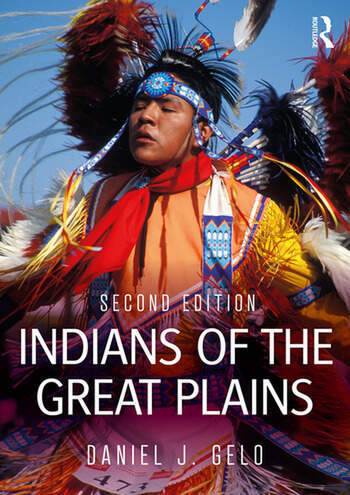 It is an essential text for courses on Indians of the Great Plains and relevant for students of anthropology, archaeology, history, and Indigenous studies. Daniel J. Gelo is Dean of the College of Liberal and Fine Arts, Stumberg Distinguished University Chair, and Professor in the Department of Anthropology, University of Texas at San Antonio, USA.